The Cultural Governance Alliance (CGA) is a light-touch collective of agencies, organisations and advocates working strategically to champion, share and promote best practice in the governance of culture. A resilient and relevant cultural sector, with highly performing cultural organisations whose boards and trustees are supported to perform at their best: to be stronger, better informed and better equipped to demonstrate excellence in governance. To develop and run a strategic peer network, supporting our members to be effective advocates and demonstrators of good governance through networking, collaboration, and the pooling and sharing of resources. Signposting: Providing a primary reference point for good governance advice, information and practice. Collaboration: Coordinating and promoting cross-sector opportunities including workshops, seminars, training and professional development. Creating and optimising opportunities for the co-production of resources and events. Advocacy: Sparking and encouraging dynamic and constructive engagement with the topic of good governance through dialogue, forums, events and activities. The CGA has been formed in response to the recommendations of the Achieving Good Governance report, commissioned by Clore Leadership in 2016, together with a consortium of trusts and foundations including Clore Duffield Foundation, Esmée Fairbairn Foundation, Foyle Foundation, Garfield Weston Foundation and Paul Hamlyn Foundation. The review’s key recommendations called for a step change in governance practice, addressing the need for improved infrastructure and coordination of efforts as well as creating culture change through improved sector practice. In addition to our partners and supporters, a growing number of organisations have been active in contributing ideas and resources to the establishment of the CGA and remain connected for the sharing of advice and information. We are a strategic collective of partners from across the cultural sector, joining with Clore Leadership to steer the inception of the Cultural Governance Alliance (CGA). Clore Leadership is a platform for leaders and aspiring leaders in the arts, culture and creative sectors. It aims to inspire and equip leaders to have a positive impact on society through great leadership of culture, and is committed to enabling the cultural sector to achieve good governance. Clore Leadership provides leadership development programmes, organises governance training and away days, promotes thought leadership and fresh ideas through debate and challenge, and offers access to an incredible network of leaders. Clore Leadership is grateful to the following funders for supporting the creation and activities of the Cultural Governance Alliance. Arts Council England (ACE) seeks to champion, develop and invest in artistic and cultural experiences that enrich people's lives. ACE supports activities across the arts, museums and libraries – from theatre to digital art, reading to dance, music to literature, and crafts to collections. The Calouste Gulbenkian Foundation (UK Branch) is an independent charitable foundation with cultural, educational, social and scientific interests. They are supporting the Cultural Governance Alliance because of the findings of itsInquiry into the Civic Role of Arts Organisations. In the Inquiry’s research report,Rethinking Relationships, several barriers were identified as preventing arts organisations from playing a civic role. These include: leaders feeling overstretched and under-supported; co-production requiring particular skills which producers, curators and artists may require additional training in; participants and staff groups needing to reflect the communities in which they work. All these of these barriers can be addressed by better governance. The National Lottery Heritage Fund (The Fund) inspires, leads and resources the full breadth of the UK’s heritage to make a positive and lasting change for people and communities, using money raised by National Lottery players. The projects they invest in range from restoring natural landscapes to rescuing neglected buildings, from recording diverse community histories to providing life-changing skills training. Since 2012 The Fund has offered a number of funding opportunities through the Catalyst and Resilient Heritage programmes. These were designed to strengthen the resilience of organisations in the heritage sector through building fundraising capacity, strengthening governance, business and enterprise skills, and enabling organisations to diversify their income. They are committed to continuing this vital support for the sector through launching the next Strategic Funding Framework for 2019-2024. AIM, the Association of Independent Museums, helps heritage organisations to prosper. It is a thriving membership network for independent-minded museums, galleries and heritage sites across the UK. It helps museums to develop their governance through training, advice and theAIM Hallmarks which recognise that strong governance is one of the key characteristics helping heritage organisations prosper and thrive. Artistic Directors of the Future is the UK’s first organisation dedicated to creating change at leadership level in mainstream theatres. They work with a wide range of culturally diverse directors at varying levels of experience to inspire, prepare, support and empower the next generation of artistic leaders, giving them the leverage they need to progress to the next step. Arts Council Wales is responsible for funding and developing the arts in Wales. Theyinvest public funding, using these funds to create opportunities for people to enjoy and take part in the arts. Their investment in the 67 organisations who are members ofArts Portfolio Wales supports a dynamic and creative arts sector. They are also the national centre of a network ofinformation and intelligence about the arts in Wales. Association of Chairs is an independent association of chairs of social purpose and not-for-profit organisations formed in order to help Chairs with their unique task: leading the board in delivering the organisation’s aims. They deliver value to their members by providing information, commissioning research, peer support, networking and developing standards of best practice in governance that are relevant to Chairs of a wide range of organisations. Cause4 champions new ways of scaling up charities, supporting them to change and grow. They work in partnership to develop new business models, as well as to raise vital funds working across the charity, arts, sports and education sectors. Cause4 leads theArts Fundraising & Philanthropy consortium with the University of Leeds and the Arts Marketing Association – as a sector support organisation in Arts Council England’s National Portfolio. Supporting best practice in governance, they manage the acclaimedTrustee Leadership Programme in partnership with Close Brothers Asset Management and the Clothmaker’s Company, as well as arts-focused courses in theirGovernance Series. Independent Theatre Council (ITC) represents, supports and develops the professional performing arts in the UK. They are a community of over 450 companies and producers, united in the knowledge that we are stronger together. ITC's commitment to representing your interests includes advice on management, financial and legal matters, peer learning, training opportunities and a professional network. Identified by the Financial Times as one of the top 20 consultancies operating in the public sector, Good Governance Institute (GGI) brings a decade of experience working with leaders on the broad canvas of governance. Their reputation as thought-leaders working to review and develop Boards and Governing Bodies places GGI as a recognised partner across arts and heritage organisations, health, social care, education, local government and the corporate sector. GGI's value lies not only in their detailed understanding and expertise in relation to the challenges and opportunities faced by Board members, but also in their ability to bring issues of governance to life through delivering support in strategy, leadership, engagement, and organisational development. Shape Arts is a disability-led arts organisation which works to improve access to culture for disabled people by providingopportunities for disabled artists,training cultural institutions to be more open to disabled people, and through running participatory arts and development programmes. Shape's main programme is theShape Open, theAdam Reynolds Memorial Bursary, theShape Collection and theirartist network. Shape also runsNDACA - the National Disability Arts Collection and Archive - and co-delivers arts-commissioning programmeUnlimited with Artsadmin. In addition to this, they provide access auditing and training services to arts organisations. All of Shape's work is informed by theSocial Model of Disability. UK Theatre is the UK’s leading theatre and performing arts membership organisation. They promote excellence, professional development, and campaign to improve resilience and increase audiences across the sector. UK Theatre supports organisations and individuals in the performing arts at any stage of their career, through a range of training, events and other professional services. 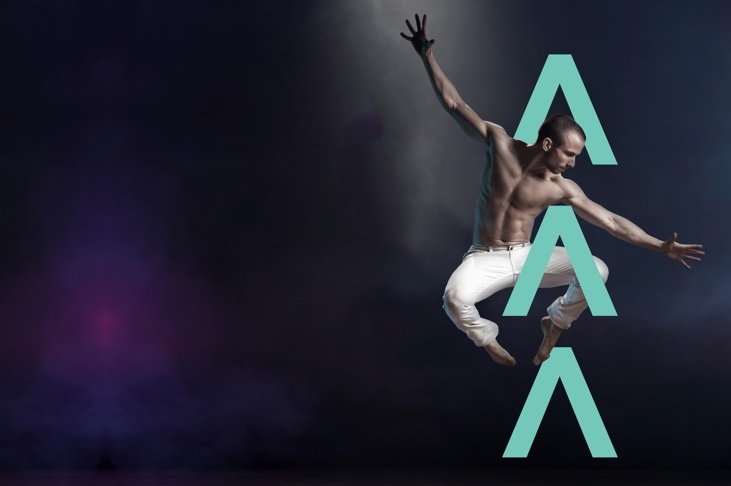 They support organisations and individuals in the performing arts at any stage of their career, through a range of training, events and other professional services. Amongst their courses isThe Art of Governance, providing advice and guidance on the strategic role of the board, leadership skills and best practice. Voluntary Arts supports, promotes and advocates for creative cultural activities in the UK and Ireland. They also work with anyone who helps facilitate creative participation, those who fund it, provide spaces for it to happen, and the people who work alongside communities to support them in their creative endeavors. They run the annualEpic Awards, theGet Creative Festival, and collaborate with the local BBC radio withUp for Arts. Help to promote and evolve good governance in the cultural sector by joining our growing membership of individuals and organisations today.